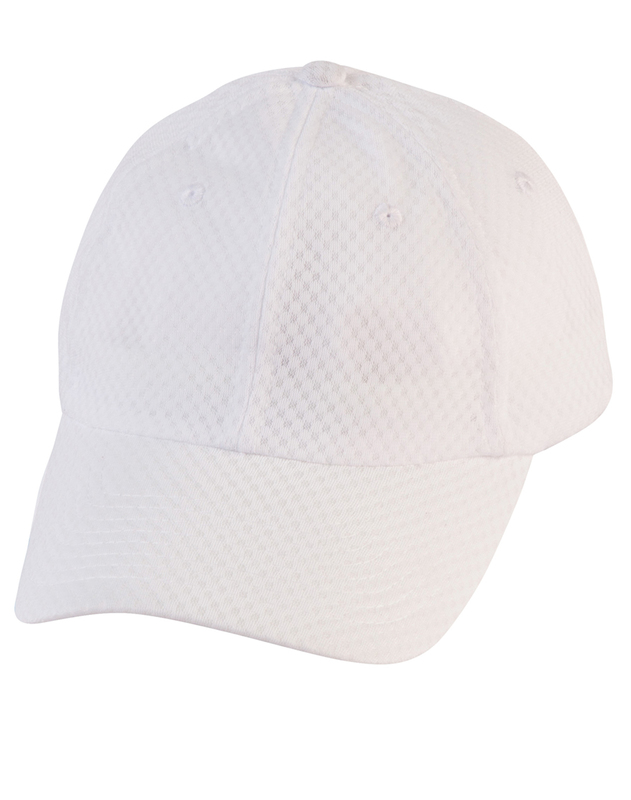 100% Polyester 6 panel un-structured design. Pre-Curved Peak, Short Crossover Velcro closure. Padded cotton sweatband. Stitched eyelets. Made from breathable, colourfast mesh fabric.